Although the sky may be cloudy in Wiltshire, he said that there are likely to be cloud breaks. Ever looked up at the night sky to see a full moon so close you could almost touch it? Well done, you’ve spotted a supermoon. By the way, supermoon is not an astrological term. It’s scientific name is perigee-syzygy, but supermoon is more catchy, and is used by the media to describe our celestial neighbour when it gets up close. Astrologer Richard Nolle first came up with the term and he defined it as “… a new or full moon which occurs with the moon at or near (within 90 per cent of) its closest approach to Earth in a given orbit”, according to earthsky.org. The best time to view it in the UK will be when the sun is setting in the late afternoon. The closer to the horizon it is, the bigger it will appear. 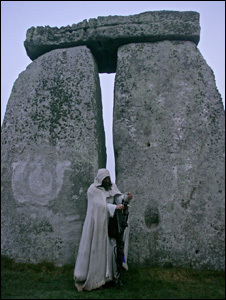 Follow us on Twitter and Facebook for all the latest Stonehenge news.